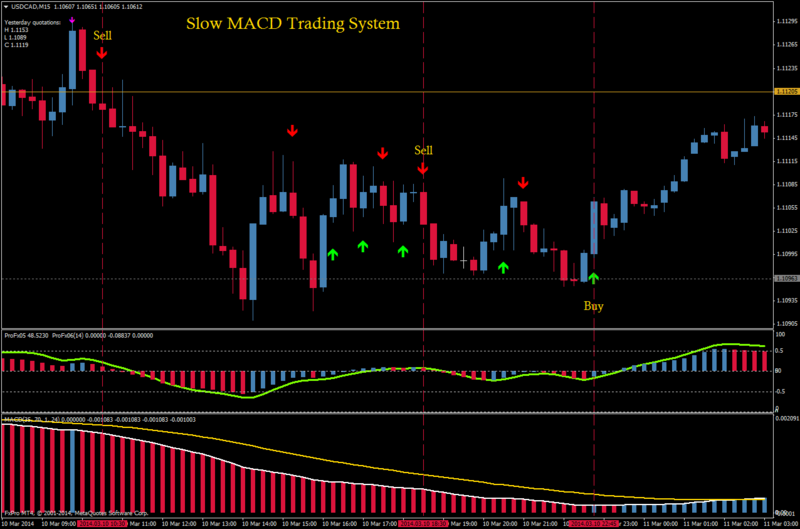 Slow MACD trading system is an trend following strategy. 1) The basic rule is that all i n d i c a t o r s must point in the same direction (same colour red dor sell and blue for buy. and good moves happends not so often. 2) check maintrend from the 4 hour chart. trade with the maintrend. 4) dont trade holiday sessions. 5) exit trade on the pivots levels. start to trade live with the strategy. can use countertrends and corrections to make some extraprofits. a signal from the strategy. use a target from 20-50 pips. write a trade diary and analyse your trades. when you check your charts every few hours. trade at fixed times. share your riks trading multiple pairs. ignore upcoming entry signals as long the price is in the range. enter the trade in the direction from the signal after a clear break of the range. Hi Timmy, excellent system , thank's ! 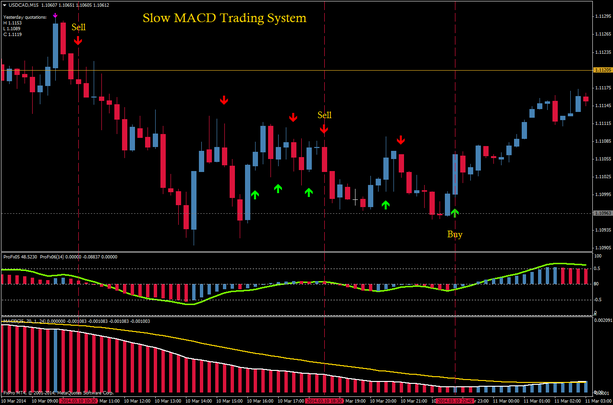 Can you explain how work the "MA of signal per " of QQF-MACD indicator ? And also , how work the lawnGreen MA of ProFx05 indicator ? What signals ( buy or sell ) they provide ? Good strategy., but what is main TimeFrame ?